Why do we need safe storage laws? Twenty-seven states and Washington, D. C., have safe storage laws, so a majority of states have identified and addressed a need. The gun storage law in Florida is associated with 51 percent (or 52 fewer) in children killed by unintentional shootings over an 8-year post-law period. (Webster and Starnes, PEDIATRICS, 2000) Across all 50 states from 1979 to 2000, states with such laws experienced greater declines in youth unintentional firearm death than those without. 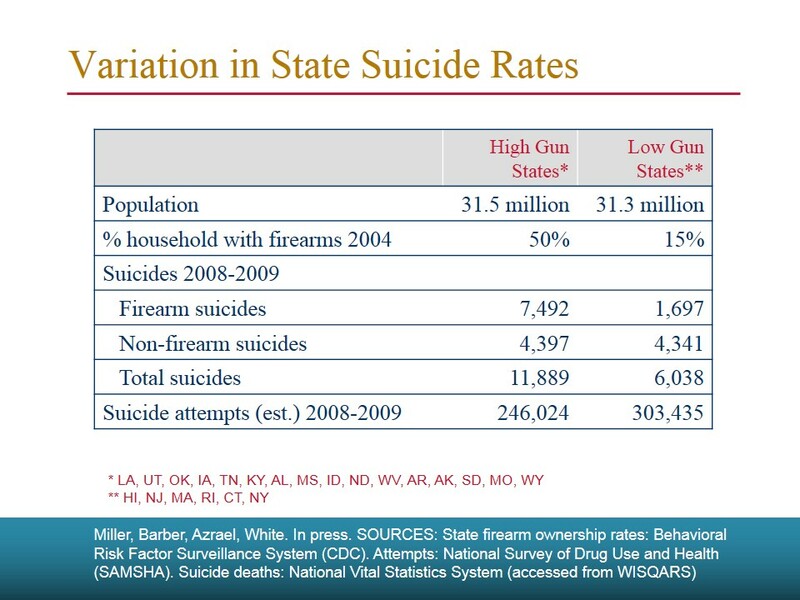 (Hepburn et al, JOURNAL OF TRAUMA-INJURY INFECTION & CRITICAL CARE, 2006) Such laws are also associated with 8.3 percent reduction in youth firearm suicide rate in 18 states. (Webster et al, JAMA, 2004.) Sensible gun storage laws don’t punish law-abiding citizens; they encourage safe gun storage practice and save lives, according to Hepburn et al (PUBLIC HEALTH AND HUMAN RIGHTS ANNUAL EXPOSITION, 2006) and Grossman et al (JAMA, 2005). According to a 2005 JAMA study, safe gun storage lowers the risk of injury and suicide by about 70 percent. Too, the National Shooting Sports Federation’s Bill Brassard says: ”Safe storage is absolutely critical to preventing the misuse of firearms.” Brassard adds that lockable boxes with key pads still allow for quick access. According to the American Academy of Pediatrics, gun deaths (homicides, suicides and accidents) cause twice as many deaths among young people as cancer; five times as many deaths as heart disease, and 15 times as many deaths as infections. Nearly 800 children under the age of 14 were killed in gun accidents from 1999 through 2012, according to the Centers for Disease Control and Prevention (CDC). Moreover, the CDC found that accidental gun death of children under four more than doubled to 25 in 2010. Twenty-nine percent of households with children don’t secure guns, according to a 2006 study in ARCHIVES OF PEDIATRICS AND ADOLESCENT MEDICINE, by Harvard’s David Hemenway and others. The burden of safety responsibility should not be on children when finding a gun in the home. For example, an experiment with 8 to 12-year-olds in a room with a hidden gun showed that 75 percent of the boys found the gun within 15 minutes. Only one of 64 youngsters left the room to find an adult. (The gun was modified so it would not fire.) Sixty-three percent of the boys handled the gun, 33 percent fired it. And more than 90 percent of the boys who handled the gun or pulled the trigger said they’d received some sort of gun safety training. Curiosity wins, sad to say. 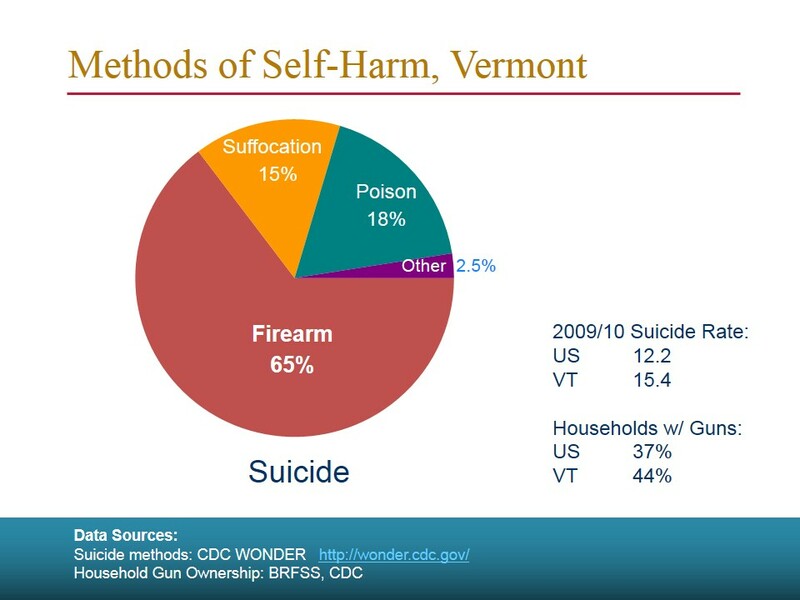 Here is additional information from PowerPoint Presentation from Harvard Researcher Catherine Berber of “Means Matter” on the research on the lethality methods of suicide. The research overwhelmingly demonstrates that removing easy access to the most common, lethal option for suicide in a culture can substantially reduce suicide rates.